Grew up in Knoxville and attended Bearden High School. 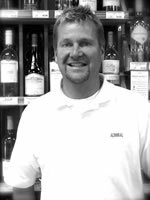 Graduated from Miami University (Ohio) in 2002 and worked in Commercial Real Estate before getting into the wine and spirits business. Likes playing golf and being outdoors. 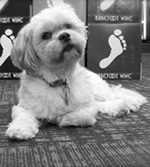 Enjoys a variety of wines and a whiskey drink during the fall. Grew up in Northwest Knoxville attending both West High School and Pellissippi State. 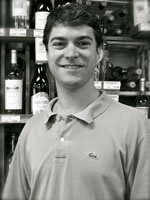 Has 23 years of experience in the wine and spirits industry. Enjoys playing both golf and croquet. A native of Knoxville, TN, Matt grew up in Atlanta, GA. He return to Knoxville in 2003 and earned a B.S. in Communication from King College. 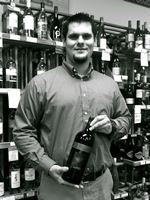 Matt has worked in the beverage industry for 5 years and particularly enjoys red wine and good scotch. Retired from the Engineering field after 30+ years. Loves oil painting, gardening, entertaining friends, cooking, and wine. 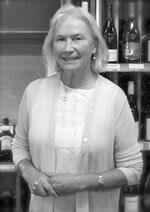 Enjoys being retired, living in West Knoxville, and having the opportunity to share her love of wine with the customers. A native of Canada, Cameron grew up in Knoxville, TN where he graduated from Knoxville Catholic High School (2008). He is currently enrolled at The University of Tennessee, pursuing a BS in Construction Science. 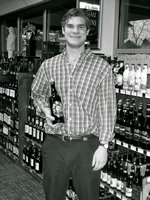 Cameron enjoys being a Vol for Life, playing/watching sports, the outdoors, and sampling the various high gravity brews Admiral has to offer. Moved to Knoxville in the summer of 2011. Likes tall grass and lazy days.